You know you should use a project management tool, but you don't know where to start. But there are so many out there. How do you choose which one to go for? How do you choose the best one for your business? Well, you don't need to stress anymore because I'm going to show you the top three project management tools for freelance designers. So you want to clean up your client onboarding process because it’s unorganized right now. You feel like you’re in a total mess, and you KNOW that if you’re feeling confused by your process, so are your clients. 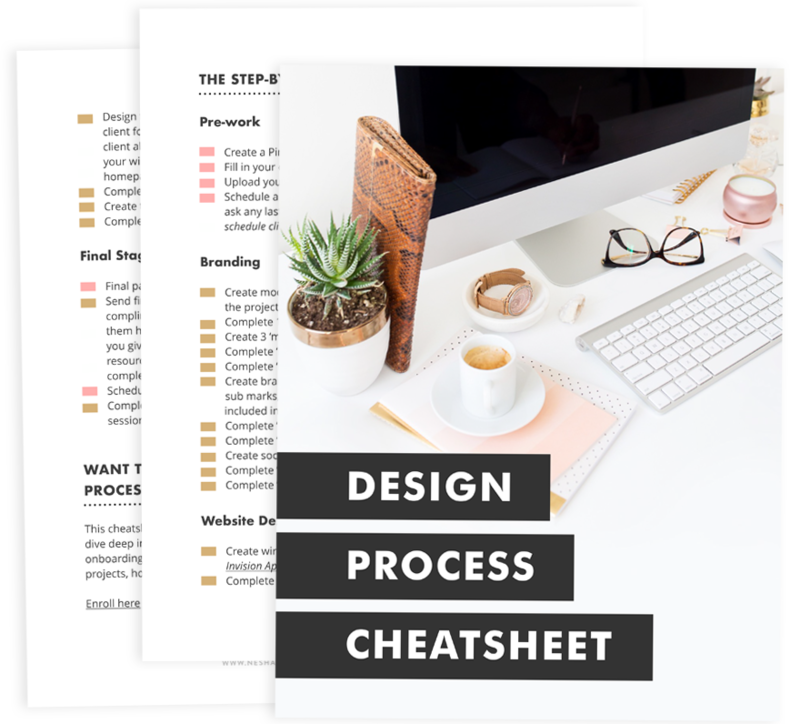 You’re in luck, because by the end of this post you will know my ultimate 5 step client onboarding process and you can implement it in your own design business, so that you can stop stressing about every new client you take on and start wowing them instead. Are You Self-Sabotaging Your Web Design Business? You started your creative business because you wanted to do creative work. You wanted to make things, design things, code things and get PAID for it. When your first started your business, the prospect of getting paid to do what you love was suuuper exciting, right? What's not so exciting is realizing that your usual business day will be about 30% creative work, 70% business tasks. But for the majority of creatives and designers out there, doing all the business-y stuff like replying to emails, writing blog posts, scheduling social media and organizing the client process is hard work.